Police now have in custody the alleged killer of 37-year-old Sutton Tennyson, the ex-fiancé of reality television star Angela Simmons. Michael Williams surrendered to police on Wednesday, and has been charged with murder, aggravated assault with a deadly weapon and possession of a firearm during a felony charges in connection to the death of Tennyson, WSBTV reports. Williams’ attorney maintains his innocence saying that Williams was shocked to learn he was charged with the murder. “He’s absolutely devastated. He’s a family man,” attorney Jackie Patterson told the station. Tennyson, 37, was reportedly gunned down in the driveway of his home in Atlanta on Saturday night, and found dead with multiple gunshot wounds in his garage. Simmons and Tennyson shared one child together, two-year-old, Sutton, Jr. The couple was engaged to be married but ended their relationship last year. The reality star who is featured on Growing Up Hip Hop and is the daughter of Rev Run shared a heartbreaking post on social media on Sunday. “Thank you for leaving behind my greatest gift . I’m hurting . I’m numb. Thank you for the out pouring of love everyone . I cant believe I’m even saying Rest In Peace Sutton. I promise to hold SJ down in every way I promise,” she posted. 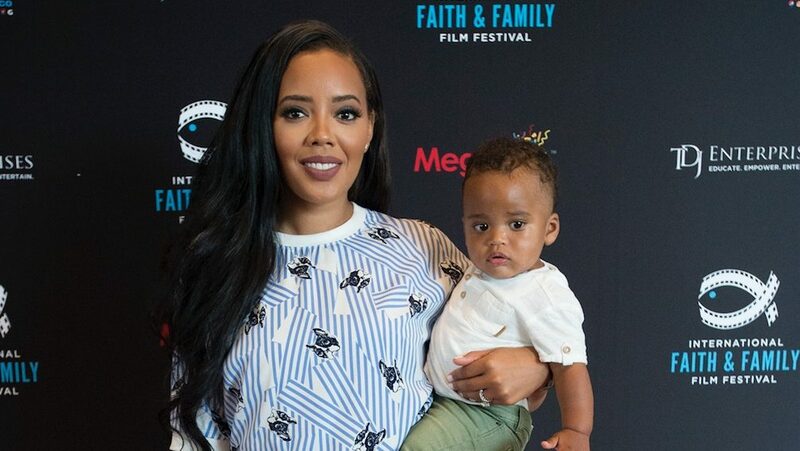 Angela Simmons also shared several snapshots of Sutton with their son on Instagram as well as a video of their son watching a video of himself with his dad. “Reflecting. He keeps replaying it 💔 RIP Sutton,” she posted.